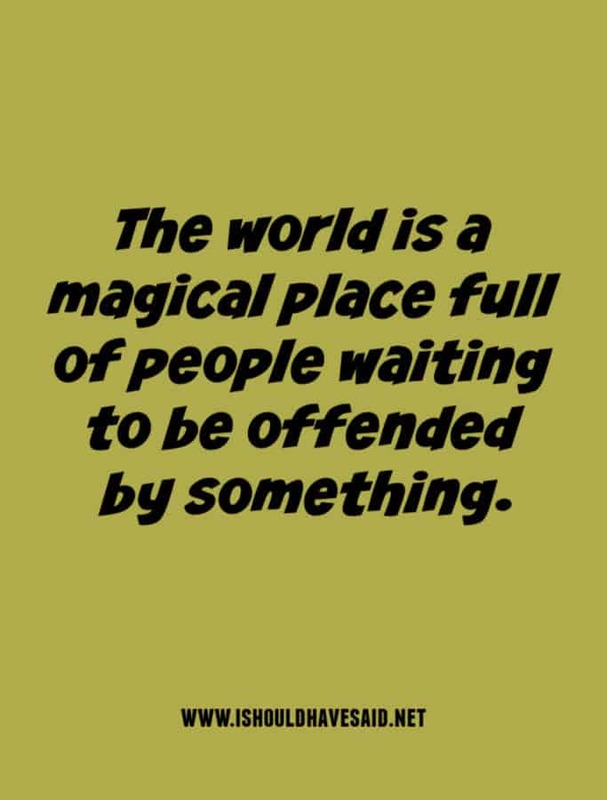 Have you ever met anyone who seems to be offended by every little thing? 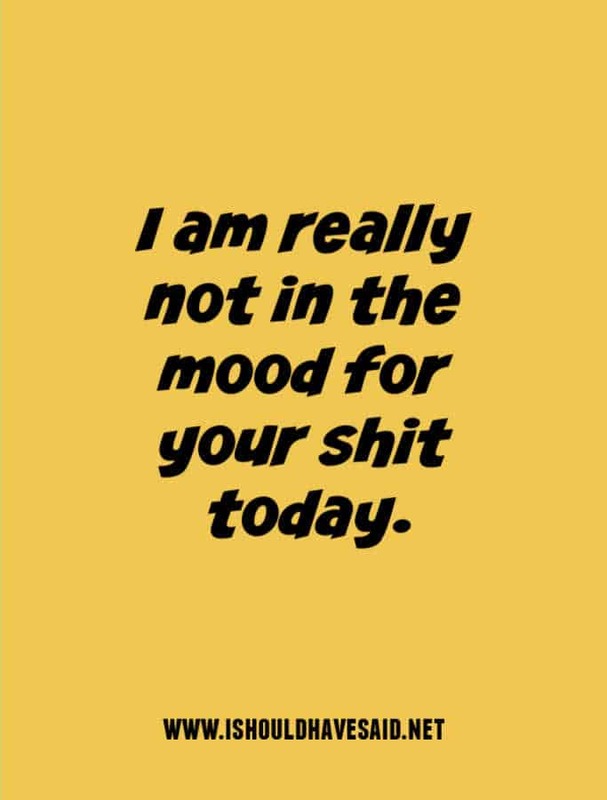 Being around someone who is easily offended is beyond annoying and can take the joy out of any social situation. It feels like you are dealing with someone with the emotional age of a toddler who can tantrum at any moment. People who are easily offended blame other people for their emotions instead of taking responsibility for how they feel, they always play the victim card. If you live in a constant loop trying to catch other people doing something wrong, you are in a pretty miserable state of mind. There seems to be a new breed of people who are offended by everything, they grew up receiving participation trophies and constant feedback of how wonderful and amazing they are. This same group can’t take feedback and if someone disagrees with their point of view they melt down. Having a meltdown or getting offended every time someone has a different point of view from your own makes it impossible to have a discussion. If you get fed up with someone trying to control your language and speech and acting like they are superior and PC (politically correct), here are a few things you can say. It must be exhausting getting offended by everything. I would like to apologize to anyone I haven’t offended. I am sure I will get to you shortly. Sorry for the mean accurate things I said. You find it offensive. That’s funny. That’s why I am happier than you. I’m offended by how easily you’re offended! 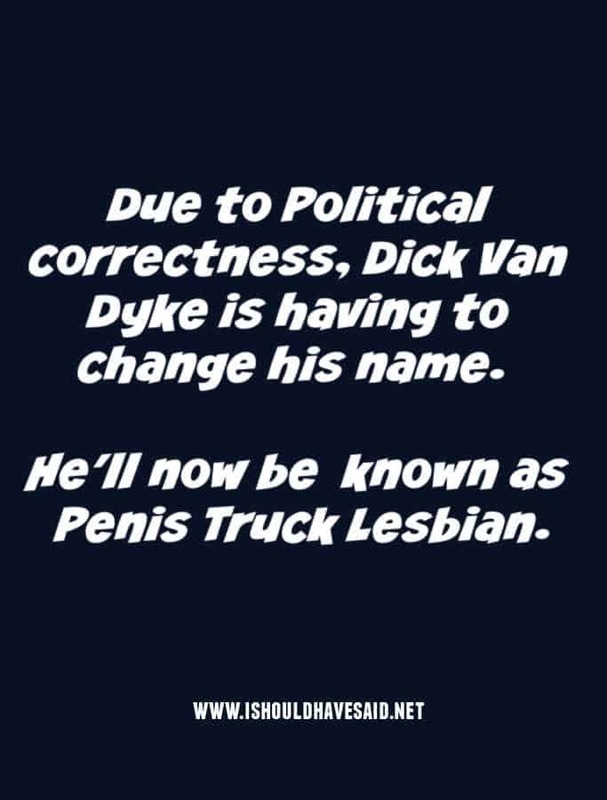 In time, I’m sure I’ll offend everyone I know. Oh, I offended you with my opinion, you should see the ones I keep to myself. 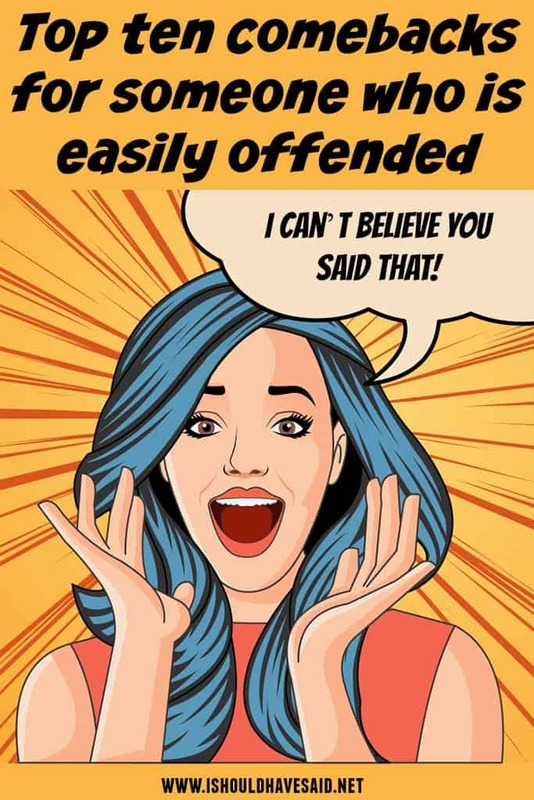 Announcing “I’m offended” is basically telling the world you can’t control your own emotions, so everyone else should do it for you. I did not mean to offend you… that was just a bonus. Got any comments, questions or tips for dealing for dealing with someone who is easily offended? Share them in the comments below.